Video marketing has become one of the the top methods for a company to put across their brand’s message and story in a short amount of time. It’s no lie that content consumption through social media and websites has skyrocketed in recent years, with video taking the top spot for conveying a product’s purpose and value in as shorter timeframe as possible. The reason, people are lazy! With the advent of social media and the expectation that content should be delivered on demand and instantly, content marketers have had to find new ways to attract attention to their business, but also keep that attention. Gone are the days when a billboard kept people in tune with a brand’s offerings – now, its all about video. They say a picture can speak a thousand words, but that is no longer good enough to keep your customers engaged with what you are doing, and more importantly, what you are doing for them! 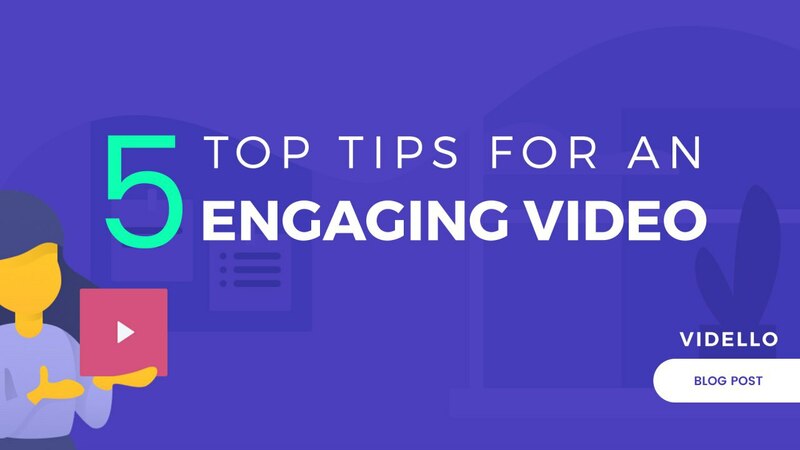 Here is our 5 top tips for an engaging video! Roll showreel! Structure is everything. Like in an essay, the structure of your video allows your audience to track through the story and absorb all of the messaging you no doubt took hours crafting (if you haven’t, you should start with that first!). Without a clear structure, your video can feel unpolished and all over the place, taking unexpected twists and turns as you try frantically to get your message across. Remember, you are not trying to rewrite the Inception thriller movie. Making your videos short, interesting, engaging and more importantly clearly structured is what will make or break your brand. If you want a great example of video structure done correctly, take a look at Webflow’s marketing videos below – they tell a story, and the old saying goes ‘a story sells’. This is a great tip for youtube content or a video series, but is applicable in other marketing videos too. Let’s think about it from your customer’s point of view: they’ve likely stumbled upon your website through social media, a search engine or a video sharing platform like Vidello or Youtube. Now is your chance to grab their attention and show off your brand, right? So why the hell would you attempt that with some long, boring explainer video that starts naming and shaming (hopefully not) your features? They don’t care. You need to break their thought pattern and snap them out of whatever automated day dream they currently are in! The best way to do this is with a pattern breaker. I’ll allude to the title again, a what? Swinging a lemon on a piece of string in front of the camera (weird, but it worked). camera. (Effective, shows your human – great for AI companies). Having touched upon the importance of video, here’s a fun fact: 80% of online visitors will watch a marketing video, compared to just 20% of visitors who would rather read through the company’s website sales copy. Interesting, but not unexpected, right? That mean’s its important to ensure you really pin down the target market you are working in (you really should have done this already) in order to offer the most value to your potential customers in the video. Without understanding this as a company, you will inevitably struggle to provide any value to the audience of your video, confuse potential clients and lose people’s interest. There is nothing worse than a video that doesn’t have a clear audience – who would watch it? The best way to pin point your target market is through effective business planning, but if you’re not old school then just use a customer persona template (available for free here). Once you have that sorted, make sure when you write your video script and storyline, all of your value propositions are in line with creating as much value for that customer persona you defined as possible. More importantly, make sure it aligns with how they meet their goals as a business! We put that in italics to emphasise its importance. You are welcome. A great thing to remember is this, and we are sorry to be blunt: ‘no one cares what you do. They only care what you’ll do for them’. If you can remember that in every piece of marketing material, sales copy and what-not you do, then you are golden! Give value first, and solutions sell. By defining these goals at the start, it will help you produce a video faster and easier (as you should constantly assess the material in line with what you want it to achieve), but also create a video that will actually engage your audience. Clear direction makes things easier to follow and get value from, and requires a lot less focus and energy to get there. Remember what we said about people being lazy and not wanting to think too much? There you go, make sure your video doesn’t require them to think too much, or try and decipher your video’s purpose and you’ll see a much better response! 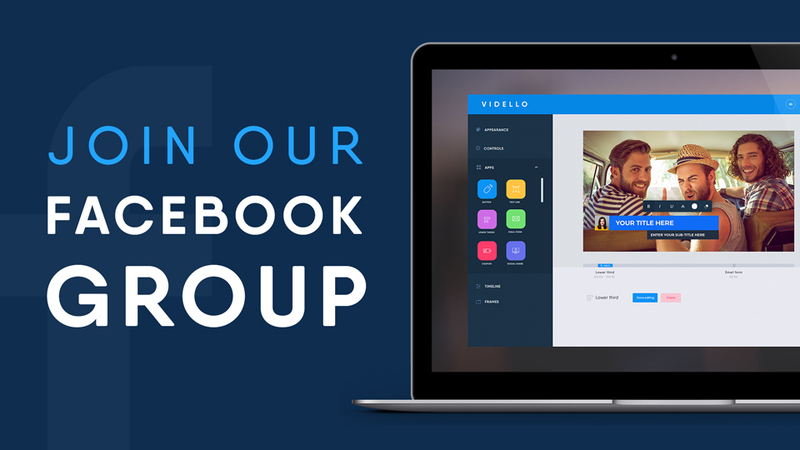 Sign up to Vidello now! I joke, we’re more laid back than that. But, the point is this, you have spent a long time hopefully following the tips above to create an engaging, structured piece of video content for your business, with clear direction blah blah etc. etc. Now you need to actually tell people what you want them to do. It’s not rude, it’s just psychology. You need to give them a clear call to action to do something right now on your website or whatever you are trying to funnel them in to, before you lose them. That could be signing up for a free trial, sharing it with their friends or booking a free demo. Whatever it is, you need to instruct them to do it otherwise all that engagement is lost and they take no action, despite having been interested for the past few minutes. Click here to book your free demo today! Get in contact today to start! ‘now’ are proven to increase conversions, so do it! That’s it! 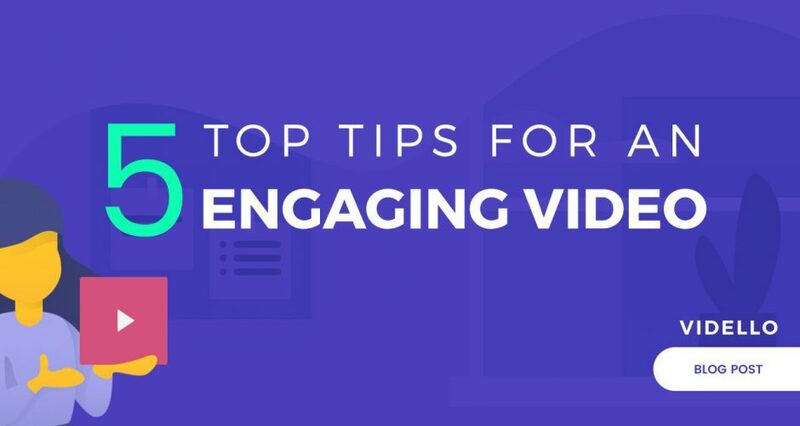 We’ve shown you some of our top tips at Vidello for producing an engaging video, so now go do it! And to finish off, here is our call to action (we lied): Unleash the power of video NOW at by starting your free trial here.